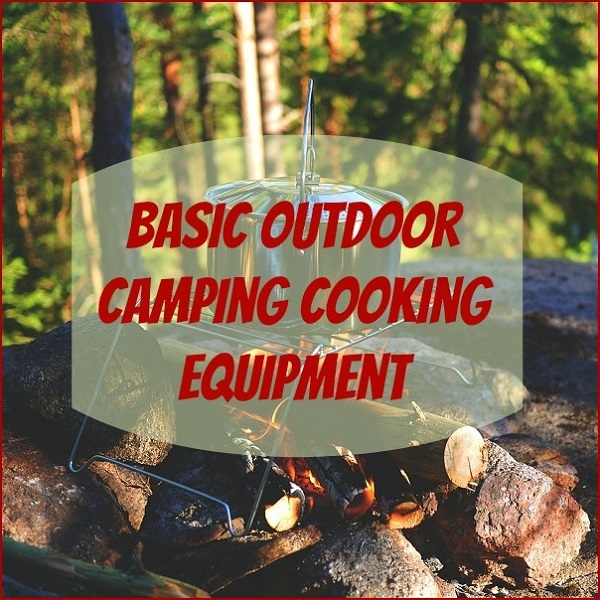 Today we are going to take a look at the 3 basic outdoor camping cooking equipment to help you decide which ones best suit your needs. Unless you plan to eat sandwiches or snacks the entire time you are camping then you are going to need cook. 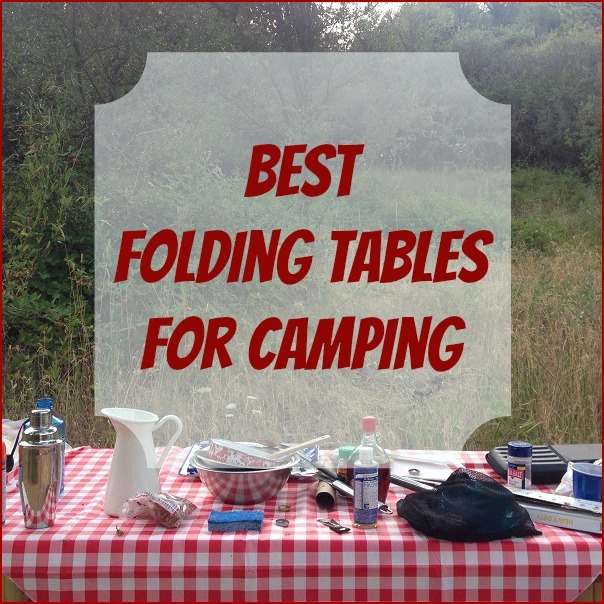 There are various items that you can use to prepare great meals even if you are camping in wilderness areas. 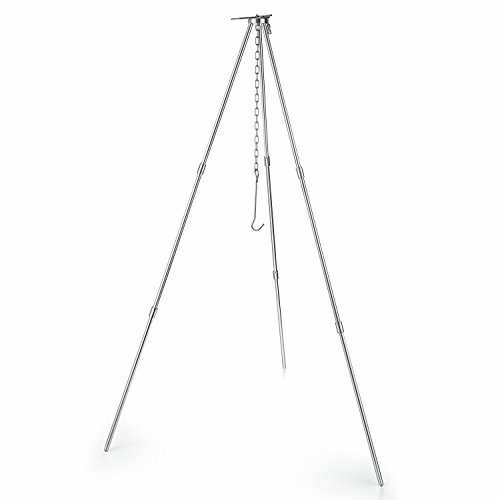 The three main tools for camp cooking are tripods, grills, and camp stoves. 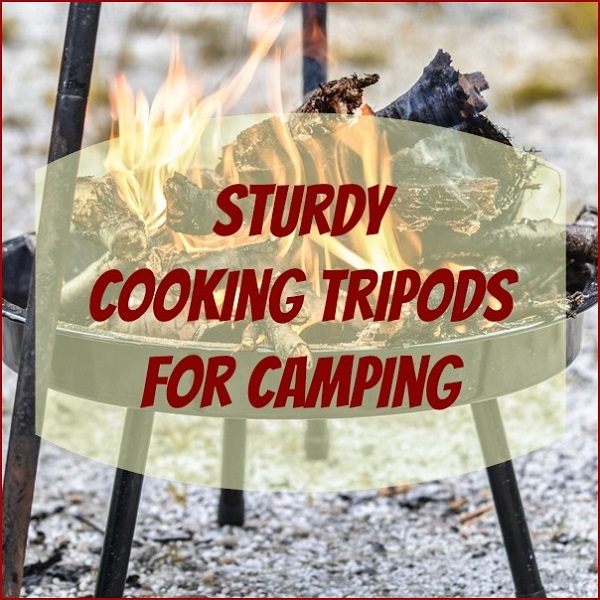 Tripods are perfect for those campers who want to enjoy cooking over an open fire. 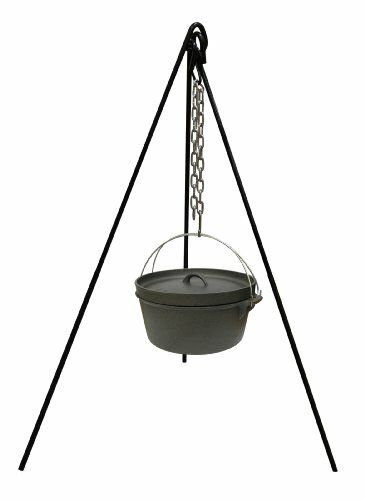 Most tripods have 3 legs with an adjustable gable or chain that hangs down on center on which you can hook a pot to or a grill to. The benefits of a tripod include the fact that food cooked on the tripod has a real campfire taste. 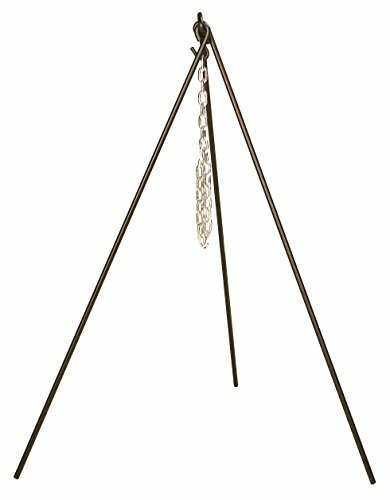 The tripod is easy to move away from the fire so that you can enjoy those nightly campfires and roast marshmallows and such. We’ve used a tripod for camp cooking for years and in fact, once we are done using it for cooking we find the tripod comes in handy to hang a lantern from for better visibility around camp after dark. 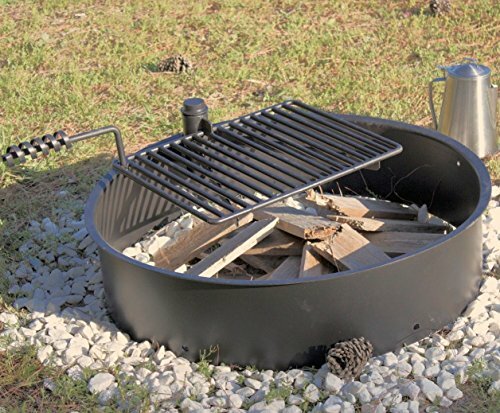 Today, portable grills are often the cooking devise of choice for many campers. Portable grills come in all shapes and sizes and can be either a stand alone grill or a table top. 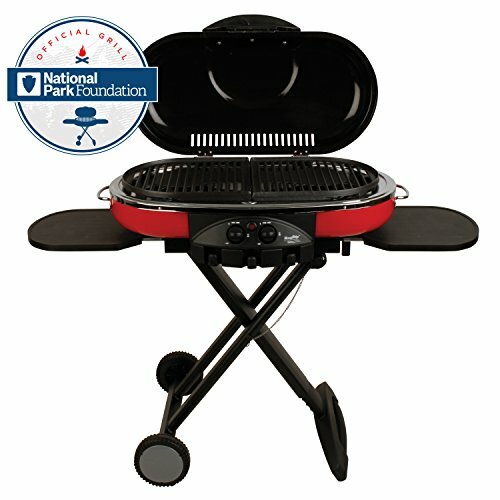 You can also find portable grills in either a charcoal grill or propane grill. Grills are easier to control the heat than tripods, especially propane grills which are easy to adjust. Grills also save on campfire wood, but you do need to carry the alternative heat source with you either in the form of a bag of charcoal or propane tanks. Although, it is not recommended we have also used sticks and twigs in our charcoal grill as a source of heat. These are usually readily available and will give your food the same taste as being cooked over a campfire. Camp stoves are usually quite compact and normally operate on some type of canister fuel. 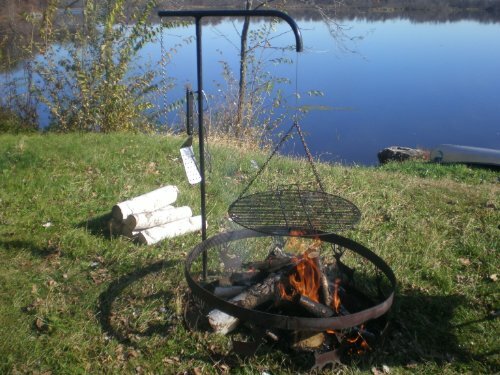 In our family we normally use a camp store in conjunction with our tripod or grill for heating water, warming soups, or heating anything that we want to cook quickly since normally all you need to do is turn on the fuel source, light the burner and you are ready to cook. 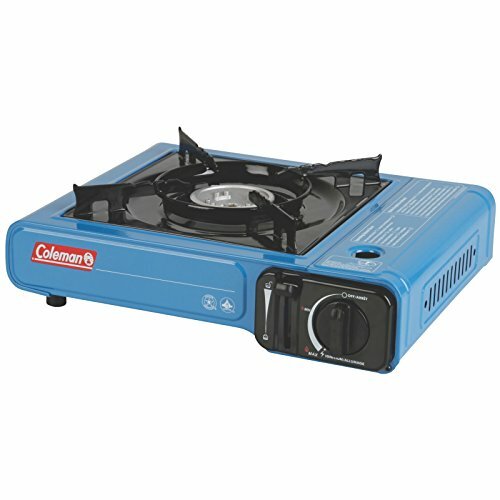 People who backpack camp often choose to use a single burner camp stove. The handiest of these are called uprights because the burner screws on top of the canister and then you cook right on top of the canister. Upright camp stoves are quite tall, so you do have to be careful not to tip over the stove and canister. 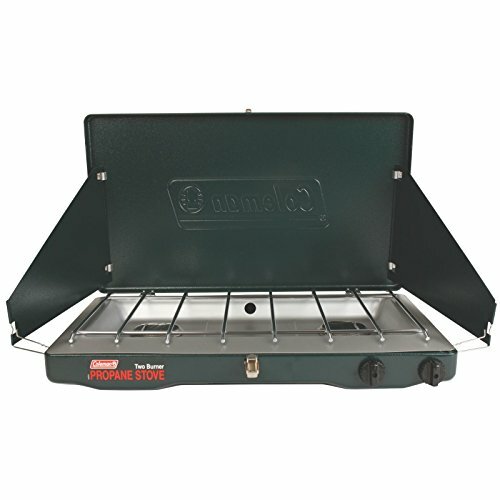 You can also purchase single burner camp stove that operates using twigs, which saves from having to carry fuel canisters, thus reducing your weight. 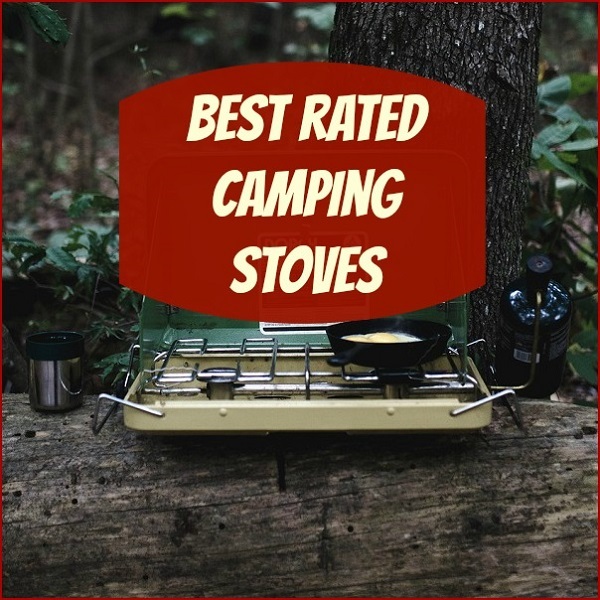 The most popular camp stoves for car camping are two burner portable camp stoves that operate by using canisters or small tanks as the heat source. When choosing your camp cooking equipment you need to take into consideration, the type of camping you will be doing, the amount of cooking surface you will need to cook for your entire family, and just how much equipment you want to carry with you to the campsite. We are going on a three-day campout and need a way to heat up all of our meals. 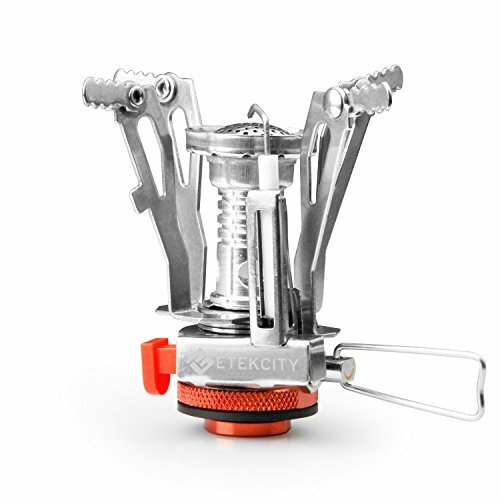 The single burner camp stove should do perfectly for just the two us. I love how easily accessible it is considering that it will fit in our backpack.